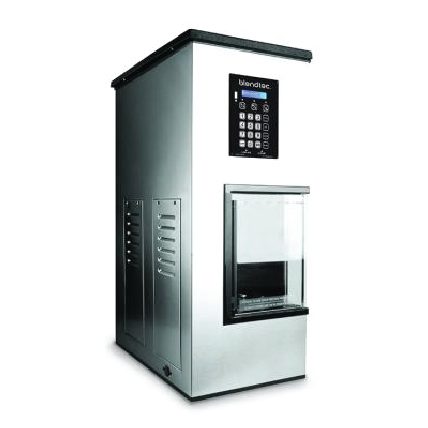 Equipment options are guaranteed to handle commercial order volumes. Our portion controlled systems assure taste and cost consistency no matter who makes the drink. 1 year warranty on all equipment purchases. 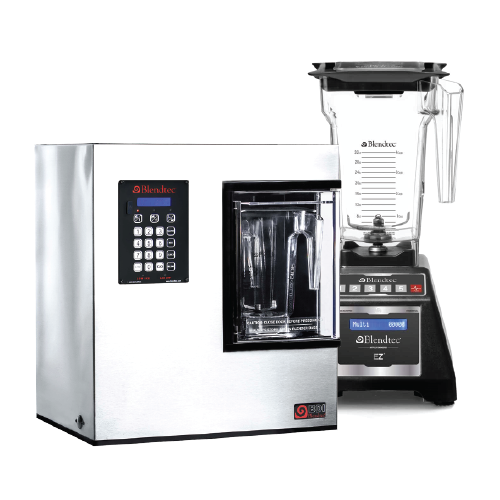 Our automated blender & dispenser equipment guarantees simplicity, power and consistency. The easy-to-use touchpad feature promises the same amount of product placed into every smoothie. Keep your real fruit smoothie puree bottles hidden down below as they are all hooked up to the machine simultaneously allowing for a clean and simple setup. Requires a dedicated 15 amp power source and water line hookup. You will also need an ice source. 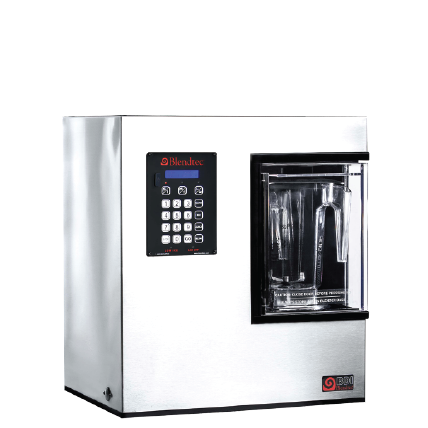 Our automated blender & dispenser with ice compartment equipment guarantees the same simplicity, power and consistency coupled with the ability to pre-fill a built in container with ice to minimize time used to place ice into the blender jar. This equipment also includes the easy-to-use touchpad feature and enables you to keep your real fruit smoothie puree bottles hidden down below as well. Requires a dedicated 15 amp power source, a drain and a water line hookup. You will also need an initial ice source. Our traditionally operated commercial blender options are packed with power to provide a consistently smooth and delicious smoothie every time. Use our real fruit smoothie purees outfitted with portion controlled pumps to guarantee consistency and minimize waste. 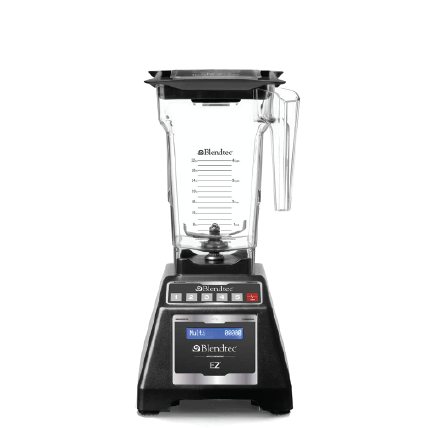 We offer several manual blending models including the: EZ Blender, Chef Connoisseur and the Smoother. Requires a dedicated 15 amp power source and an ice source. Note: Our Products Will Work With Your Existing Commercial Equipment. READY TO OPEN A SMOOTHIE BAR WITH US?